Back in college, I had little to no budget for makeup. Not that makeup was a necessity back then, of course, but I did have a subject about “social arts” where we were taught to dress for interviews and do our makeup. So I had to at least have the basics. And to me, then, the basics were eyeshadow, blush, and lipstick. Things changed when I graduated. I still didn’t have a lot of money to spend on makeup (LOL) but I did graduate from seeing eyeshadow, blush and lipstick as my staples. That time I was all about wispy lashes, clear complexion, and colour on the lips. My favorite, though, was making my lashes extra long. I wanted them to go past my eye’s crease. Mascara was the product I was willing to shell out more than 500 pesos for. Fast forward to eight (nine?) years after college and I still think having long, lush lashes is great. I just won’t shell out too much money on mascara anymore (because did you know that you’re supposed to get rid of mascara three months after opening it?). 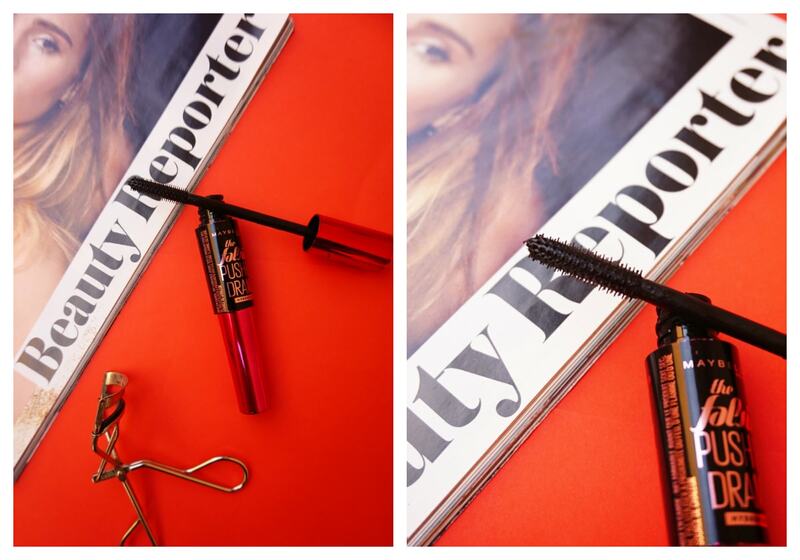 Plus, drugstore brands have great mascaras anyway. And Maybelline is one of those with a good selection. 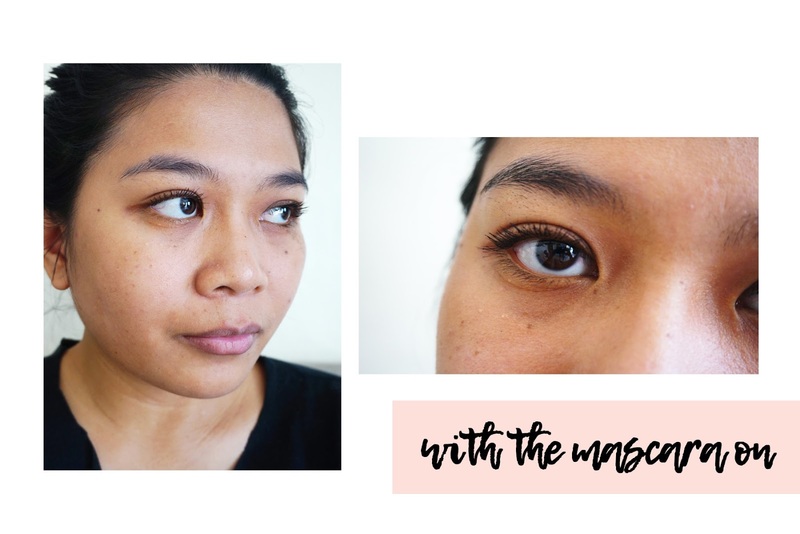 I’ve already tried my hand at their Hypercurl variant, and now I gave the Maybelline The Falsies Push Up Drama Mascara a shot. The packaging catches your eye instantly. I mean, red and magenta in one tube? When you store it with other products like I did, though, you’ll end up chipping some of the paint off. But it’s not like you’re gonna display it, right? The mascara’s wand is tinier compared to the Hypercurl’s. It has small, short bristles that are perfect for coating and separating the lashes. The wand is also bendy, but I don’t think I actually use that function. The formula’s a bit wet when I first got it, but I suspect I didn’t close the lid properly after using it — oops! — so it dried up a bit. 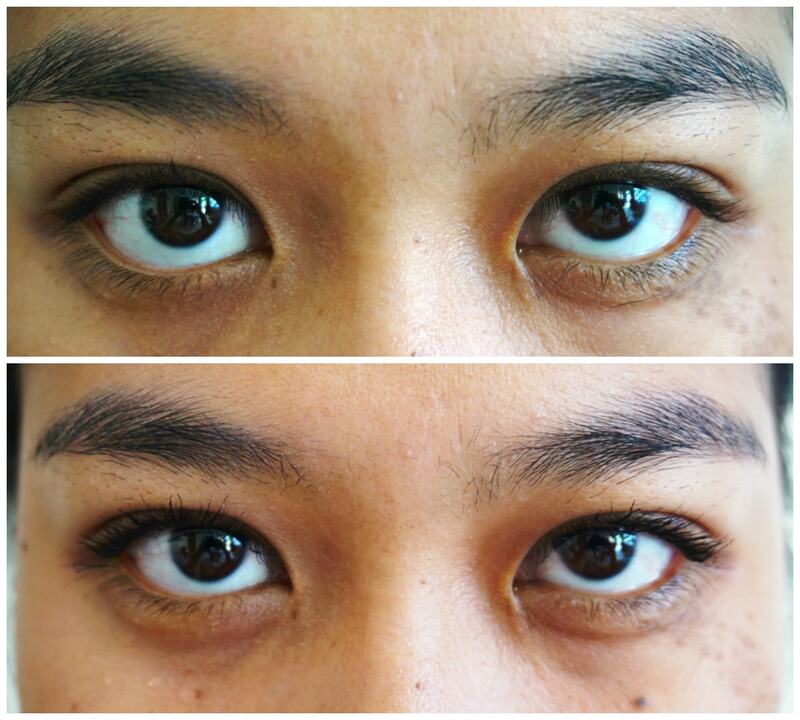 I think it worked to my advantage, though, as I hate watery mascara formulas. One coat gives good volume to the lashes. Two coats intensify the volume, but anything more than that will take you to clumpville. It also lengthens the lashes just fine; nothing dramatic, contrary to what the product’s name implies. Up close, you don’t really see much of a difference. I have average lashes that look nice when curled. When I have mascara on, though, you see them much better. With this product, I do think I get a falsies effect, just not dramatic. It looks more like I’m wearing wispy false lashes. I can’t tell whether it pushes up your lashes even if you don’t curl them just because I never not curl my lashes when I apply mascara. They last the entire day. I already tried wearing this for 12 hours and they held up really well. I take it off using oil because it’s waterproof. I really like this product and would most likely purchase a tube again (after I finish the other tube of mascara I have in my stash). 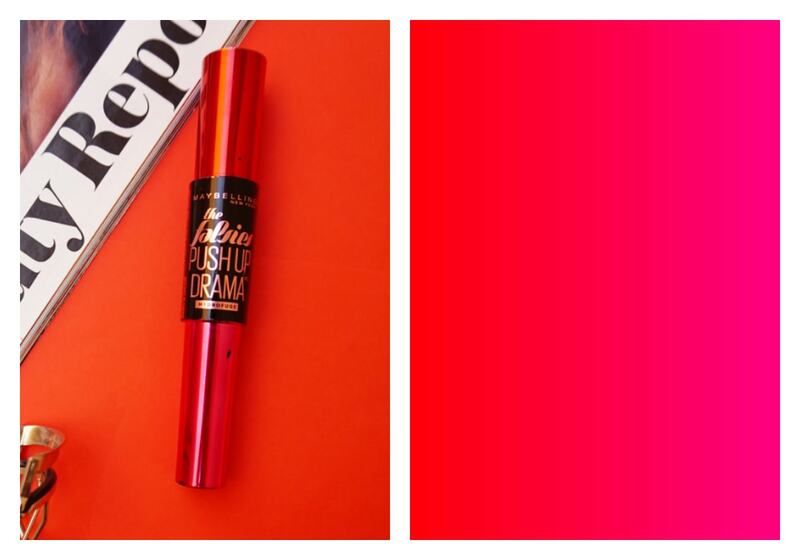 Have you tried the Maybelline The Falsies Push Up Drama Mascara before? Thoughts?